All 77 North Lanarkshire councillors are to undergo mandatory equality and diversity training. At the recent meeting of the full council Cumbernauld North councillor Danish Ashraf put forward a motion which implored members to act upon tackling discrimination in all its forms. In his maiden speech he gave all those in the chamber an insight into the level of prejudice and attacks targeted at religious belief, women and the LGBT community. 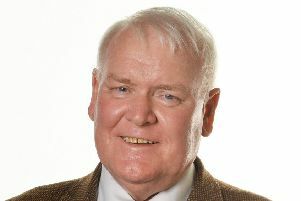 The speech had a profound effect with council leader Jim Logue proposing mandatory equality and diversity training for all councillors. Councillor Logue said: “We are an inclusive employer that respects the values of all communities and is committed to supporting equality and diversity within the organisation. Councillor Ashraf welcomed Councillor Logue’s proposal, saying: “What we have achieved changes the reality on the ground. No longer can people hide behind claims of ignorance.